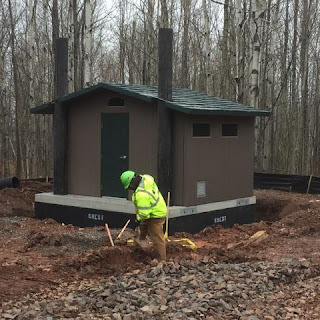 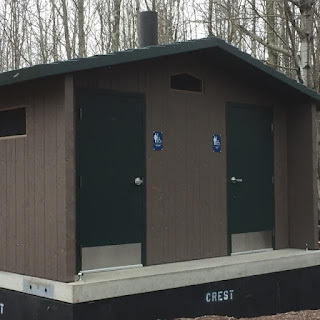 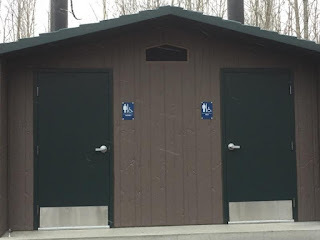 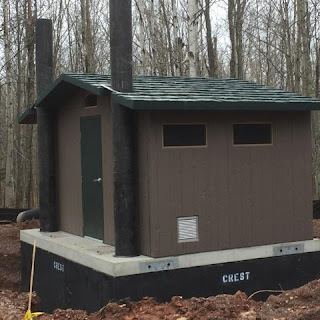 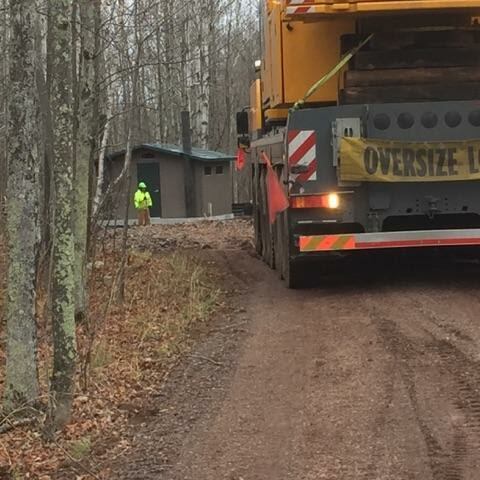 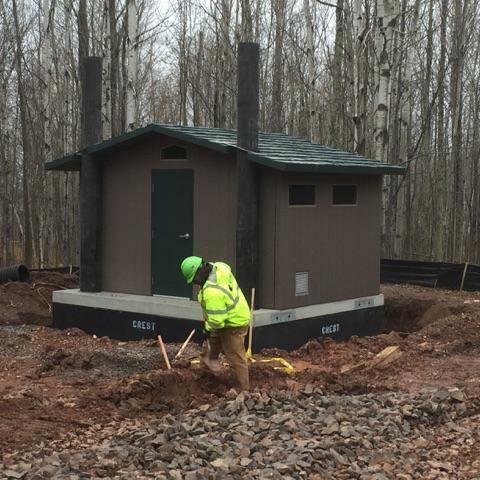 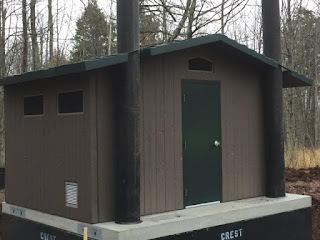 These restrooms were placed in the Ottawa National Forest in Gogebic County, Ironwood MI. These dual restrooms were installed by a contractor, Howard Brothers Inc. Each building weighted approximately 54,000 pounds. 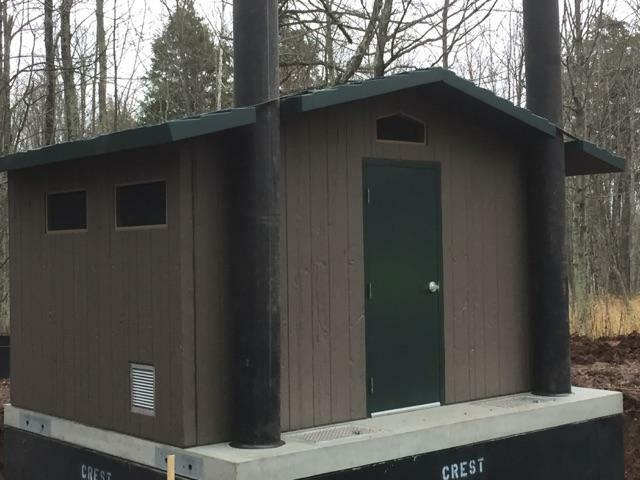 The walls have barn wood texture with the precast roof being a slate texture. 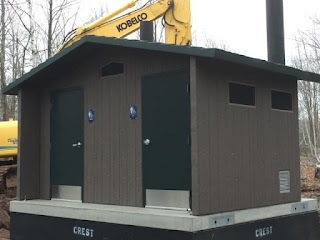 We are very proud of this unique job and pleased to work with Howard Brothers Inc. Crest Precast Concrete, La Crescent, MN.